Cheltenham is usually only awash with green during the Cheltenham Festival but Saturday could rival that scenario as mental health is brought to the fore with a Goracinggreen campaign. Green ribbons, raising awareness of mental health just as pink ribbons raise breast cancer awareness, are being handed out among what is expected to be a 20,000 crowd by Debbie Matthews, who hit the headlines at Ascot last Saturday with her pilgrimage to see her idol Altior in action. 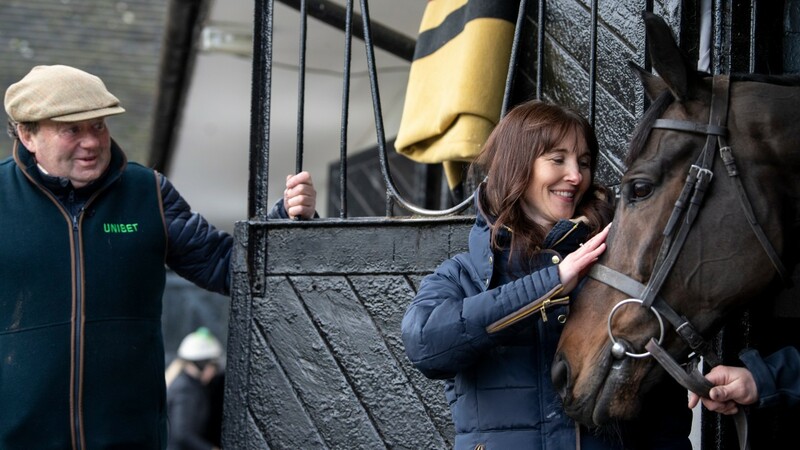 Suffering from her own mental health problems, Matthews started writing a blog last April and in the last week has become a Twitter sensation after documenting her brave solo visit to Ascot while revealing how horses had helped her cope with her problems. Matthews is expecting to be busy from her base on the steps overlooking the number one spot in the winner's enclosure part of the paddock. "I have been overwhelmed by the reaction and had a lot of support on Twitter and quite a few owners have said they will come over. I'm taking a supply of green ribbons to hand out. "My aim is just to help other people like me." The green ribbons are not just for show however. They serve a deeper purpose as Matthews explained: "Green is the colour of the mental health ribbon and if anyone is there on their own it's a sign that I'm one of those people who they can come and say hello to. "Even others going in a group who wanted to wear one, saying people could join in with them, could." Green ribbons will be sported by all of Fergal O'Brien's staff on duty as Matthews is spending the morning with the Naunton trainer. Matthews explained: "When I started my blog last April, Fergal was the one and only trainer who reached out to me and invited me to his yard. "I have been busy baking as everyone knows Fergal likes his cakes!"